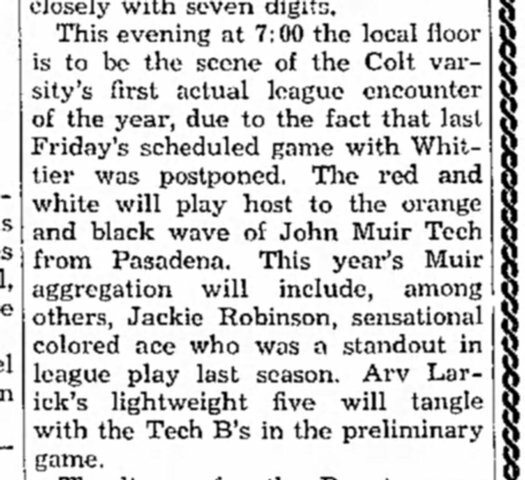 Another mention turns up in a Covina, California Argus story on the high school basketball team which notes Muir Tech’s “sensational colored ace” Jackie Robinson. Robinson, having moved from guard to forward that season, appears again in the Argus, when John Muir Tech defeats Covina 51-26. While at Muir Tech, he lettered in baseball, basketball, football, and track. 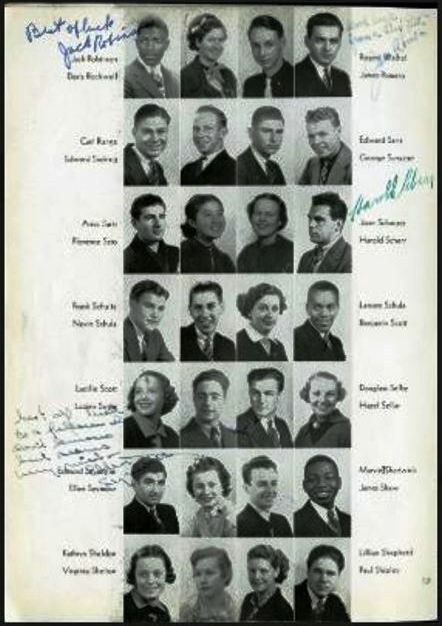 You may bid on a 1937 Muir Tech yearbook, which Robinson autographed, here. 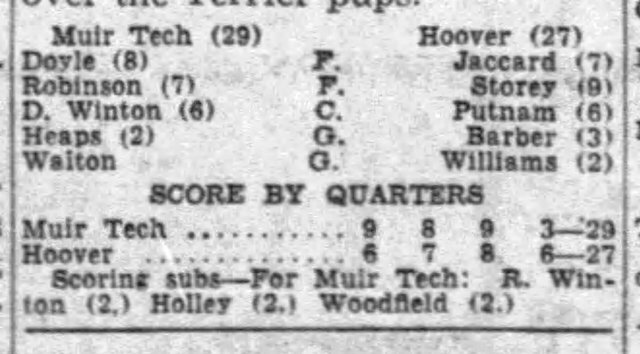 Just a few days after that Covina game, Robinson turned 18 and left Muir Tech to enroll at Pasadena Junior College. 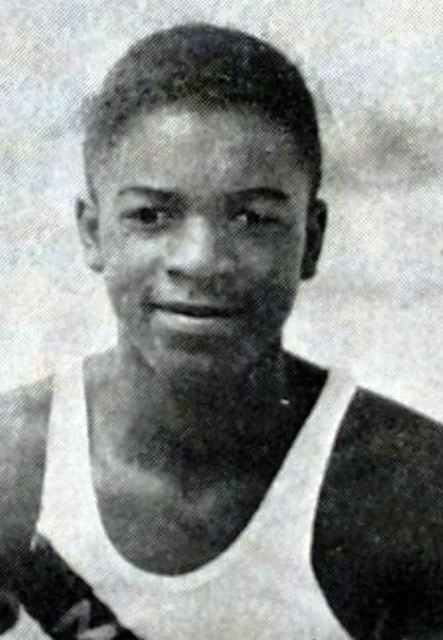 In 1939, he enrolled at UCLA and became UCLA’s first athlete to letter in four sports: baseball, basketball, football, and track. 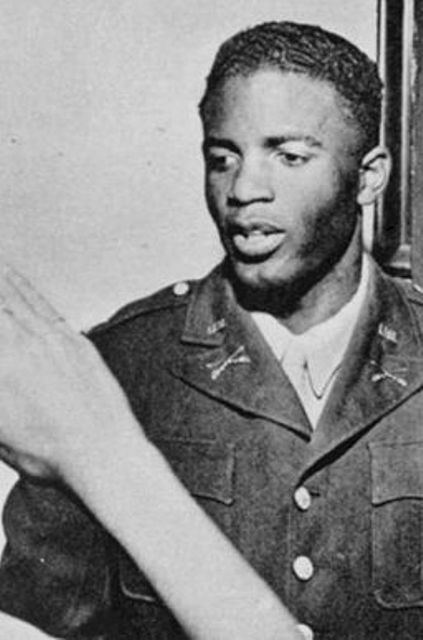 Robinson was drafted in 1942 and served as an officer in the military. Everyone knows what happens next, right? He went on to a career in baseball. 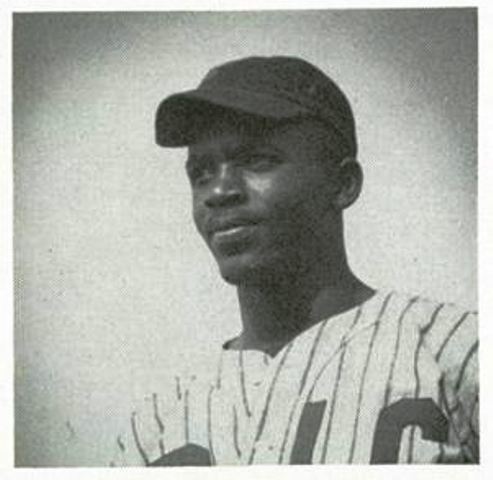 He broke major league baseball’s color barrier when he was called up to the Brooklyn Dodgers on April 15, 1947. Upon retirement he became a vice president of the Chock full o’Nuts coffee company. None of it was easy. His entire life, it seems, was defined by the color of his skin and the inequalities of race in our nation. You knew all of that. But, it’s still important to remember it … and to repeat it, even if you’ve heard it a thousand times before. We honor Jackie Robinson for what he did with the Brooklyn Dodgers in 1947. But, we know his legacy is much broader and more important than just that. 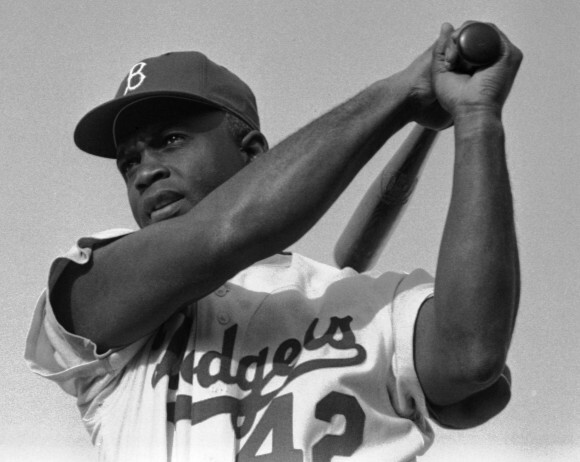 Today every major league player will wear Robinson’s number – 42. What can you say about Jackie Robinson that hasn’t already been said? I don’t know. But, I know I can say “Thank you, Jackie Robinson.” Everybody should say that. This entry was posted in Baseball, Baseball History and tagged Jackie Robinson by Jackie, The Baseball Bloggess. Bookmark the permalink. Last year they retired his #42 and Pee Wee Reese #1 here in Louisville. Cool! 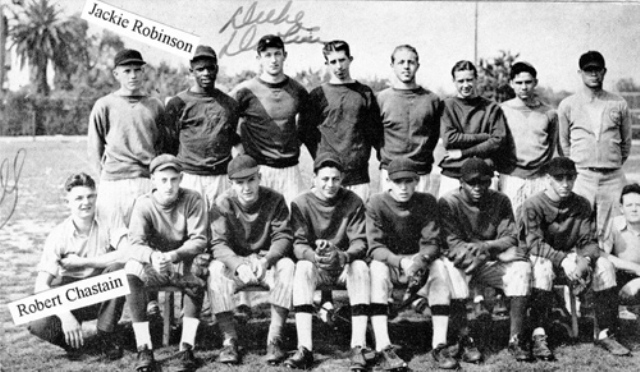 I think Pee Wee Reese was from Kentucky … and that’s a nice way for the team to recognize Reese and remember that Reese and Robinson were teammates for many years. I love the history you find! And this year you found some fun things..
Chock Full O’Nuts and high school score results!